Created to provide helpful information about the Texas Cannabis Industry. Retail Marijuana stores sell legal cannabis, and cannabis products, to responsible adults 21 and over in compliance with local regulations. In the state of Texas, ‘dispensaries’ are considered ‘Dispensing Organizations,’ or, any business that is authorized by the department of cultivating, process, or distribute low-THC cannabis. The Department’s Compassionate Use Program is not currently accepting applications for dispensing organization licenses. The Compassionate Use Program allows licenses for three organizations. Cansortium Texas, Compassionate Cultivation, and Surterra Texas are currently licensed. 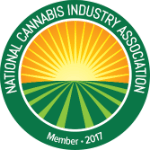 The license authorizes organizations to cultivate, process and dispense low-THC cannabis to prescribed patients. How can I obtain a Texas Medical Marijuana Card? A Patient must get care from a doctor authorized to participate in the program. Texas law requires qualified doctors join a physician registry and include information in the registry itself such as the dosage recommendation, means of administration, and the total amount of low-THC cannabis required to fill the patient’s prescription. An issued prescription would also order a licensed marijuana established to distribute cannabis to the patient. What are the qualifying conditions for Medical Marijuana in Texas? Intractable epilepsy is the only condition that qualifies one as a medical marijuana patient in the state of Texas. If at least two FDA-approved drugs are found to be ineffective, the physician could authorize the patient to have access to low-THC cannabis. With parental consent, patients under the age of 18 may participate in the program. The Texas Compassionate Use Act, it is intended to allow some qualifying patients to access “low-THC cannabis,” marijuana that contains 10% or more cannabidiol (“CBD”) and not more than 0.5% tetrahydrocannabinol (“THC”). The Department’s Compassionate Use Program is not currently accepting applications for dispensing organization licenses. Cansortium Texas, Compassionate Cultivation, and Surterra Texas are currently licensed. The license authorizes organizations to cultivate, process and dispense low-THC cannabis to prescribed patients. The Texas medical cannabis program is operated by the Department of Public Safety. All of this information, as well as the full written rules and regulations released by the Texas Department of Public Safety, can be found here. For the latest cannabis-related legislative updates on Texas, check out our Cannabis Bill Tracker! The following are direct rules and regulations pulled from the Texas Department of Public Safety. Below is an outline of rules surrounding record keeping established by the Regulatory Services Division for the Texas Compassionate Use / Low THC Program. To read the full set of rules and regulations for cannabis businesses in Texas, click here. (a) Records required under the Act or this chapter must be maintained and made available for inspection or copying for a period of two (2) years. Records may be maintained in digital form so long as a hard copy may be produced upon request of department personnel. (D) Waste material resulting from cultivation, processing, or dispensing of low-THC cannabis. (9) Records of all tests conducted in compliance with §12.7 of this title (relating to Testing, Production, and Packaging). The following are direct rules and regulations pulled from the Texas Department of Public Safety. Below is an outline of rules surrounding Testing, Production, and Packaging established by the Regulatory Services Division for the Texas Compassionate Use / Low THC Program. (a) Licensees must comply with all applicable provisions of the Texas Agriculture Code and the Texas Department of Agriculture’s administrative rules, Title 4, Part 1. (b) Representative samples of all processed products must be tested for the levels of tetrahydrocannabinol and cannabidiol, and for residual solvents, pesticides, fungicides, fertilizers, mold, and heavy metals, in accordance with applicable provisions of the Texas Agriculture Code and Texas Department of Agriculture’s administrative rules, Title 4, Part 1, and Code of Federal Regulations, Title 16, Part 1107. (c) Only pesticides of minimum risk exempted under the Federal Insecticide, Fungicide, and Rodenticide Act, 7 USC §136, may be used on cannabis. The pesticide’s active ingredients may only be those listed in 40 CFR §152.25(f)(1). The pesticide’s inert ingredients may only be those that listed in 40 CFR §152.25(f)(2); commonly consumed food commodities, animal feed items, and edible fats and oils as provided in 40 CFR §180.950(a),(b) and (c); and chemical substances listed in 40 CFR §180.950 (e). All pesticide ingredients (both active and inert) must be listed on the pesticide container’s label. The active ingredient(s) must be listed by label display name and percentage by weight. Each inert ingredient must be listed by label display name. The product may not bear claims to control or mitigate organisms that pose a threat to human health, or insects or rodents carrying specific diseases. The name of the producer or the company for whom the product was produced and the company’s contact information must be displayed prominently on the product label. The label cannot include any false or misleading statements. The label must comply with the Texas Department of Agriculture’s administrative rule, 4 TAC §7.11, relating to Label Requirements. (5) Other applicable standards including following all applicable fire, safety, and building codes in processing and the handling and storage of the solvent or gas. (4) The American Society for Testing and Materials (ASTM). (f) The extraction process must be continuously staffed during operations by a registered employee trained in the extraction process, the transfer of LP-gas where applicable, and all emergency procedures. All staff training records shall be maintained on-site and made available upon request by the department or local law enforcement or regulatory official. (7) Emergency power backup system. (h) For extraction processes utilizing gaseous hydrocarbon-based solvents, a continuous gas detection system shall be provided. The gas detection threshold shall be no greater than 10% of the LEL/LFL limit of the materials. (i) Signs shall be posted at the entrance to each production area using or storing carbon dioxide, indicating the hazard. Signs shall be durable and permanent in nature and not less than 7 inches wide by 10 inches tall. Signs shall bear the “skull and crossbones” emblem with the warning “DANGER! POTENTIAL OXYGEN DEFICIENT ATMOSPHERE.” NFPA 704 signage shall be provided at the building main entry and the rooms where the carbon dioxide is used and stored. The main entrance to the facility and any door to a room where storage, transfer or use of hazardous materials is conducted shall be appropriately posted with markings in accordance with NFPA 704, Standard System for the Identification of the Hazards of Materials for Emergency Response. (3) Ventilation operating at a negative pressure in relation to the surrounding area. (k) Any liquid extraction process using flammable and combustible liquids in which the liquid is boiled, distilled, or evaporated must operate in compliance with this section and NFPA 30 as adopted by the State Fire Marshal’s Office. (l) Any processing equipment using a flammable or combustible vapor or liquid must meet the requirements of NFPA 30 and NRPA 70. Such equipment shall be located within a hazardous exhaust fume hood, rated for exhausting flammable vapors. Electrical equipment used within the hazardous exhaust fume hood shall be rated for use in flammable atmospheres. Heating of flammable or combustible liquids over an open flame is prohibited, with the exception that the use of a heating element not rated for flammable atmospheres may be used where documentation from the manufacturer or a nationally recognized testing laboratory indicates it is rated for heating of flammable liquids. (m) Product extraction processes may use only potable water in compliance with Code of Federal Regulations, Title 40, Part 141. (n) All regulated premises shall be located at least 1000 feet from any private or public school or daycare center that existed prior to the date of initial license application, measured from the closest points on the respective property lines. (o) All final packaging for patient consumption must be in child-resistant packaging designed or constructed to be significantly difficult for children under five (5) years of age to open and not difficult for normal adults to use properly as defined by the most current version of the Code of Federal Regulations, Title 16, Part 1700 and Title 40, Part 157.2 and American Society for Testing and Materials (ASTM) D3475-15, Standard Classification of Child-Resistant Packages, ASTM International, West Conshohocken, PA, 2015. (9) Statement that the product is for medical use only and is intended for the exclusive use of the patient to whom it is prescribed. This statement should be in bold print. (q) The dispensed product may contain no more than 0.5% by weight of tetrahydrocannabinols and not less than 10% by weight of cannabidiol. (r) The storage, transfer, and use of LP- Gas shall conform to the regulations of the Texas Railroad Commission, including but not limited to NFPA 58, LP Gas Code (as amended) and the adopted standards of the State Fire Marshal’s Office. (s) The storage, use, and handling of liquid carbon dioxide shall be in accordance with Chapter 13 of NFPA 55. The following are direct rules and regulations pulled from the Texas Department of Public Safety. Below is an outline of rules surrounding Inventory Control Systems established by the Regulatory Services Division for the Texas Compassionate Use / Low THC Program. (a) A licensed dispensing organization shall use a perpetual inventory control system that identifies and tracks the licensee’s stock of low-THC cannabis from the time it is propagated from seed or cutting to the time it is delivered to either another licensee or patient or legal guardian. (b) The inventory control system shall be capable of tracking low-THC cannabis from a patient back to the source of the low-THC cannabis in the event of a serious adverse event. (c) The inventory control system shall be designed to promptly identify a discrepancy and interact with the department’s centralized registry system. (2) The number of clones or seeds delivered or the weight of the seeds for each variety in the shipment. (f) Upon curing or drying of each batch, a licensee shall weigh the batch and enter the weight into the inventory control system database. (g) At least monthly, a licensee shall conduct a physical inventory of the stock and compare the physical inventory of stock with inventory control system data. (h) If a licensee discerns a discrepancy between the inventory of stock and inventory control system data outside of normal weight loss due to moisture loss and handling, a licensee shall begin an audit of the discrepancy. (3) Send an audit report to the department. (j) If a licensee finds evidence of theft or diversion, the licensee shall report the theft or diversion to the department within two (2) days of the discovery of the theft or diversion. TEXAS SUCCESS STARTS WITH CONTACTING US!